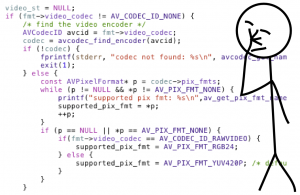 For those of you using OpenCV that are looking to upgrade from OpenNI 1.x to the new OpenNI 2.x, here's a bit of code to make life a tiny bit easier. It simply wraps the OpenNI 2.x APIs to expose a simple frame grabber for OpenCV. Continue reading "OpenNI 2.x and OpenCV interoperability [w/ code]"